Moving is such a big process that just getting started can be overwhelming at first. In order to go through your move as smoothly as possible, you will want to have a plan right from the start that covers every step of the way. By putting this plan in place before even the first box gets packed, you will have a clear picture of what needs to get done and you should be well on your way to a successful move. Following is a five-step plan for completing your move as easily as possible. This plan works just the same whether you are moving only a few miles away, or halfway across the country. By following these simple steps, you should be able to take a big chunk of the stress away as you move toward the big day. Step one can start right now – even if your move is still a few weeks (or months) away. One of the best ways to make a move easier is simply to move less stuff. That might sound obvious, but far too many people simply move everything that is currently in their house, even if they aren’t ever going to use it again. Take a close look at everything in your home and think about whether or not it is worth taking to the new place. You are likely going to want to keep most everything you have, but even getting rid of just a few items can make a big difference. It is never too early to start packing. This process begins with collecting all of the packing supplies you will need, such as boxes, tape, packing materials, etc. Even as you are still living in your current home, you can prepare by packing up things which are rarely used. Items like fine china, wine glasses, extra clothes, and more can be packed up ahead of time without affecting your day to day life. The more packing you have done ahead of time, the less stress there will be involved with the move itself. There are two sides to every moving job – moving out, and then moving in. If you don’t do a good job of labeling your boxes when you are leaving your current house, it will be that much more difficult to get things in the right place when you complete the move. Take the extra time while packing to carefully label every box with what it contains, and where it should go in the new place. This might seem like extra busy work at the time, but you will thank yourself when you arrive at your new house and don’t have to hunt down every last item. 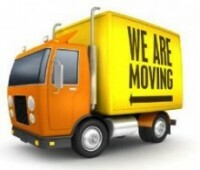 As soon as you have firm dates for your move, contact a moving company and get an estimate on the job. Some times of year are busier than others in terms of moving, so don’t delay making your calls and picking a moving company that can handle the job. 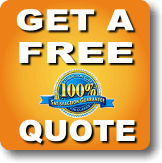 You want to make sure that you work with a company that is willing to give you a quote in writing, and one that has the proper amount of experience and knowledge to make the move successfully. 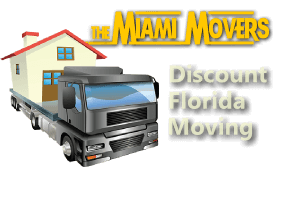 For a free quote on your upcoming move, feel free to contact Miami Movers right away. Step Five – Moving In! Once the Miami Movers has completed your moving process and safely delivered everything into your new home, it will be time to open up those boxes. Thanks to the preparation you did with proper packing and labeling, the moving in process should be easy – and even fun. Congratulations, you have successfully finished your move and can now enjoy living in your new place!